Project Description: This water colored bouquet of flowers nestled in a die cut jar creates the perfect image for a springtime hello. Die cut specialty low-tack film to create a quick and easy mask for painting. 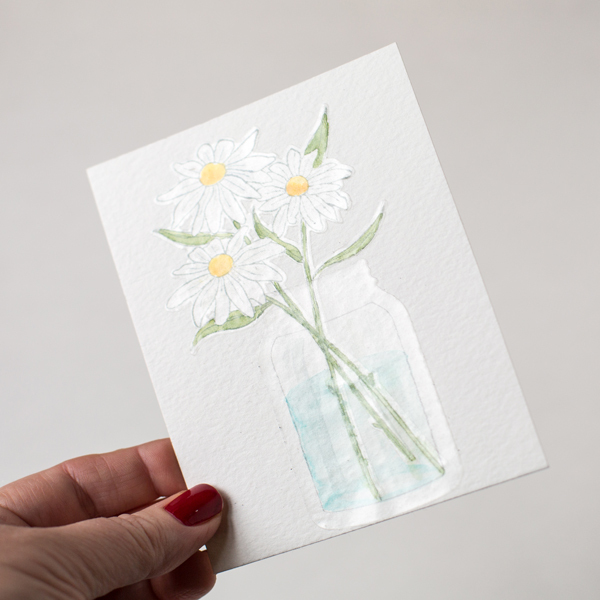 Cut watercolor paper to 4” x 5 ¼” and stamp flowers in light gray ink. 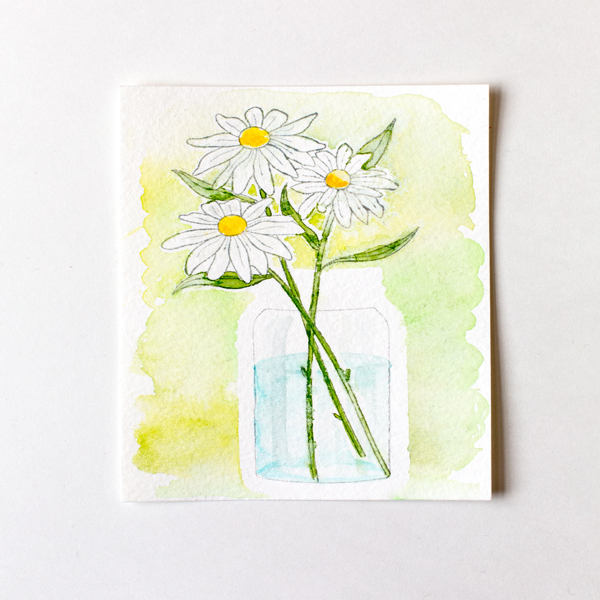 Watercolor flower and stems; allow to dry. 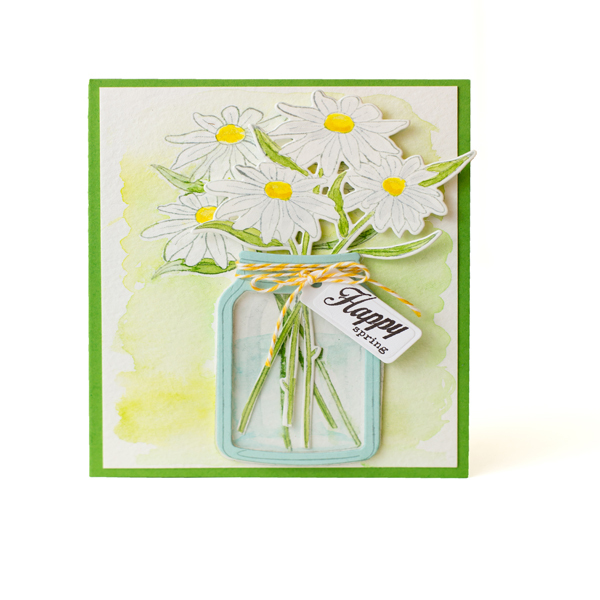 Die cut daisy bouquet from Frisket Film and place over the top of the stamped and colored image. Lightly trace where jar opening will be and watercolor the water in the jar; allow to dry. Die cut jar from Frisket Film and place over the top of the painted water. Watercolor background and remove Frisket Film masks. 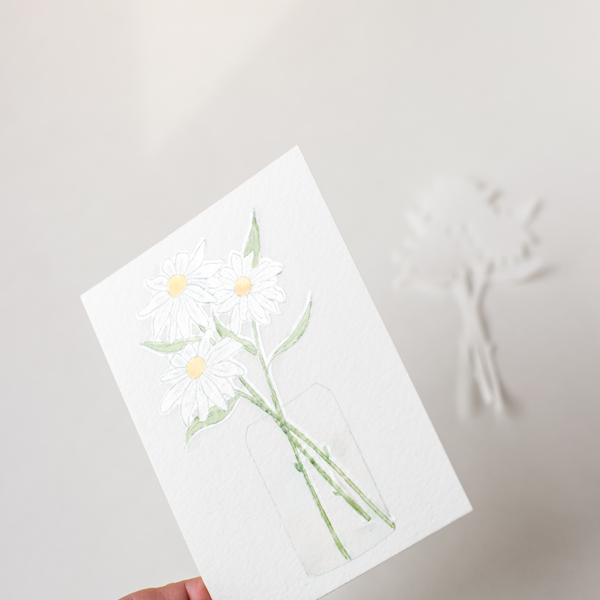 Die cut an additional daisy bouquet from watercolor paper and paint as with first bunch of flowers. Adhere to card using foam squares behind flower heads; stems need no adhesive. 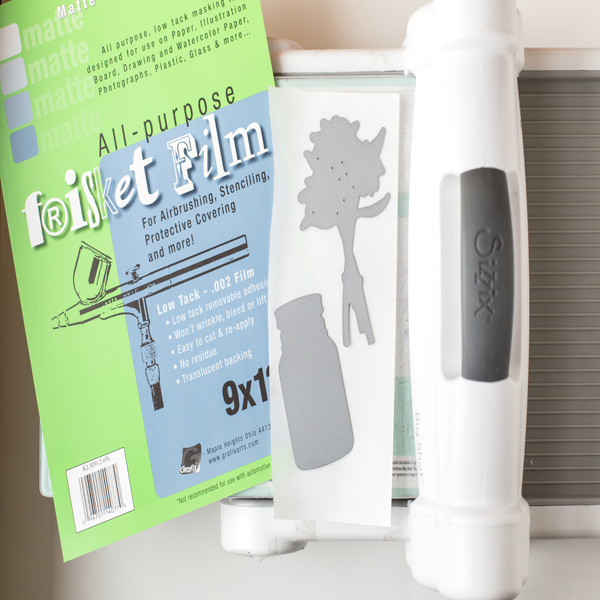 Stamp sentiment in dark gray ink and die cut into tag shape. Die cut jar from Craft Plastic and die cut frame from aqua cardstock. Double up the iCraft foam adhesive sheet and die cut another jar frame (note: it is easier to layer the adhesive foam and then die cut, rather than trying to line up individual layers after being die cut). Adhere plastic jar to foam frame and adhere aqua frame on top. Wrap top of jar with yellow and white baker’s twine and adhere stamped tag. Adhere jar over flower stems. 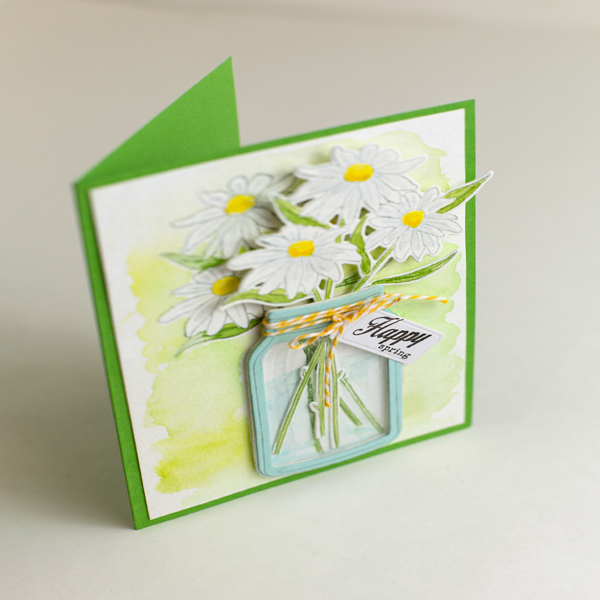 Create card base from green cardstock and adhere water colored panel to top, as shown. TIP: Using Frisket Film to die cut a mask is quicker than applying a liquid masking product. In addition to creating the mask faster there is no drying time, as there would be when using a liquid masking product. The downside is that the mask will not be quite as precise since most coordinating dies are designed to have leave a border around the image. If you want the mask to be applied exactly to the edge of the stamped image, use Incredible White Mask from Grafix.